hey everyone, thought i might as the peeps at hukd. anyone got a spare money off code which they wont be using which they are prepared to give away to me. 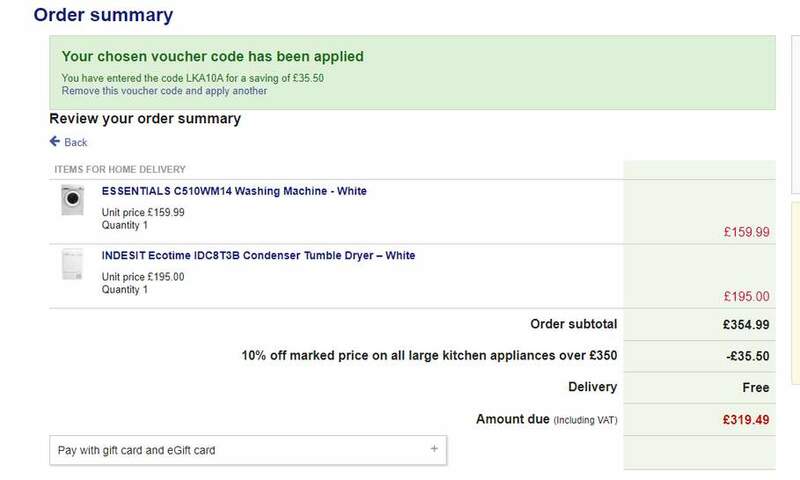 looking to buy a washing machine and dryer so trying to save some pounds if i can. if anyone can help, then please do pm me. There's a 10% off code here that works, just tested it.